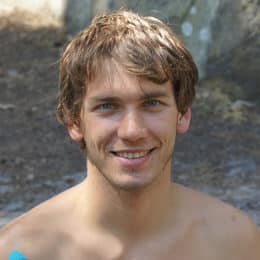 IFMGA certified mountain guide Juras wants to guide you for a full day of basic training and practice in an ice climbing course in the Czech Republic. The winter months in the Czech Republic can be frigid. However, with that cold weather comes the chance to go ice climbing. Ice Climbing is a thrilling experience. There is nothing quite like scaling a frozen waterfall. It is one of those things that if you have a chance to do it, you definitely should. However, it requires a lot of skill and practice to do right. And with this basic one day course I will do my best to teach you those skills, so you can ice climb safely. For the first half of the day, we will focus on basic moves and the necessary materials. Those materials include, crampons, ice axes, ice screws, locking devices, and others, all of which will be provided for you. Once you are familiar with the materials, we will practice the proper use of ice axes with and without loops. We will cover the technique of walking in crampons. We will also go over top rope climbing and how to establish a secure belay in ice. Finally, after we’ve covered everything, we will put those moves, skills and materials into practice, when you start climbing an ice fall! Ice climbing is an unforgettable and exciting physical activity, but there are risks. As a result of those risks, it is crucial to learn the skills necessary to ice climb responsibly. It is my intention to teach you those skills. Please message me if you are interested in taking this course with me. 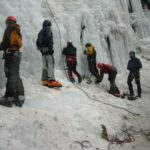 I also offer a more advanced ice climbing course for those people who have more experience and want to take the next step. The price includes transportation to the ice fall from Prague as well as the equipment needed, such as crampons, ice axe and helmet. Prague. We'll get a transfer from Prague to Špindlerův mlýn, Krkonoše. The Ice is about 30min. walk from the car. Or you can go by cross-country skis or ski mountaineering. 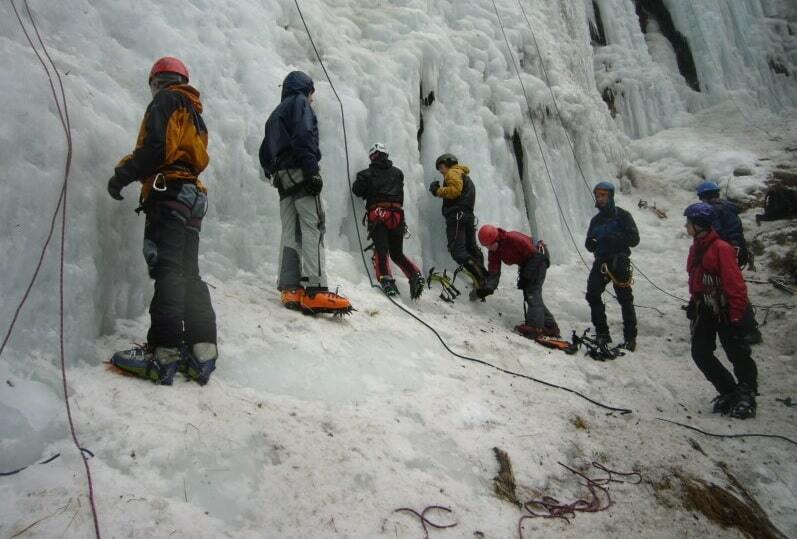 Special ice climbing equipment is included, that is ice axes and crampons, ropes, screws and carabiners. But you need to have your own harness, helmet and boots. It is essential to have good warm and hard boots type B/C. Off piste skiing - 3 days - Interm.